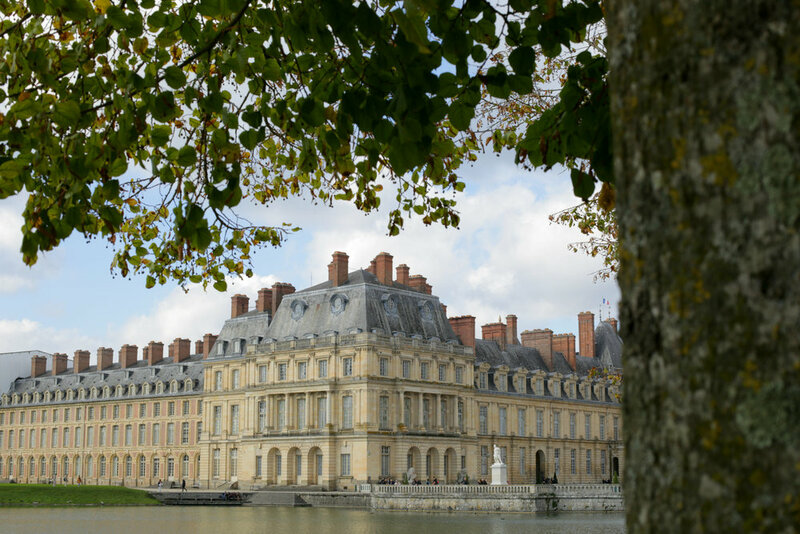 And now, without further ado: After a leisurely stroll through the Fontainebleu Forest ( see post here: http://www.hannahharleyphotography.com/2014/10/13/fontainebleu-forest/ ) and an incredible lunch in the small town, we went to Fontainebleu's most famed house. Unfortunately, we didn't get to spend all day in this stunning palace (since I tend to take more time in these types of places), but we did get to spend the majority of our afternoon with audioguides. While the inside was furnished and beautifully maintained, I found the outside and the gardens to be exceptionally pretty. The day completely turned around from the down-pouring of rain we experienced that morning in Paris. It ended up being a perfect fall day! I have to admit that I'm mildly obsessed with the impressive ceilings that the French adorn in their chapels, chateaux, and government buildings. They're ornate, and in my opinion, it's a little frilly to decorate the ceiling so intensely. But then again, it seems like a very French thing to do. We ended up not leaving ourselves as much time to stroll through the gardens as we probably should've, but it was the perfect day to enjoy a few moments in the garden. Seriously though ceilings here are amazing! I must cut my narration on this particular post short because my roommate just walked in, and it sounds like we're going to a jazz club in the center of Paris tonight! I'm not one to pass on some free jazz and good company on a Monday night!